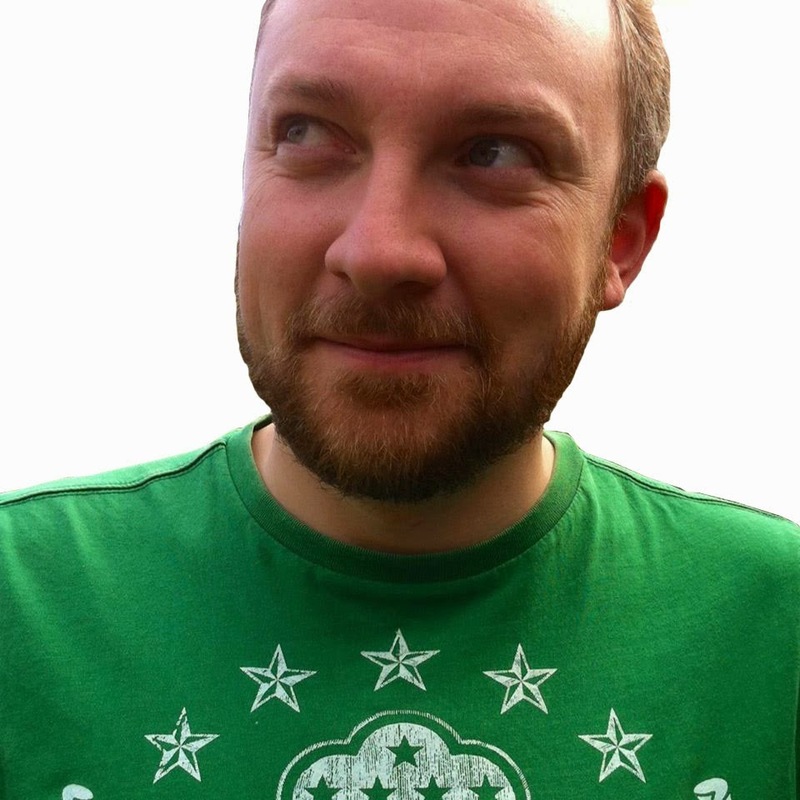 I've purposefully deviated from my usual posting schedule to focus on some great news! 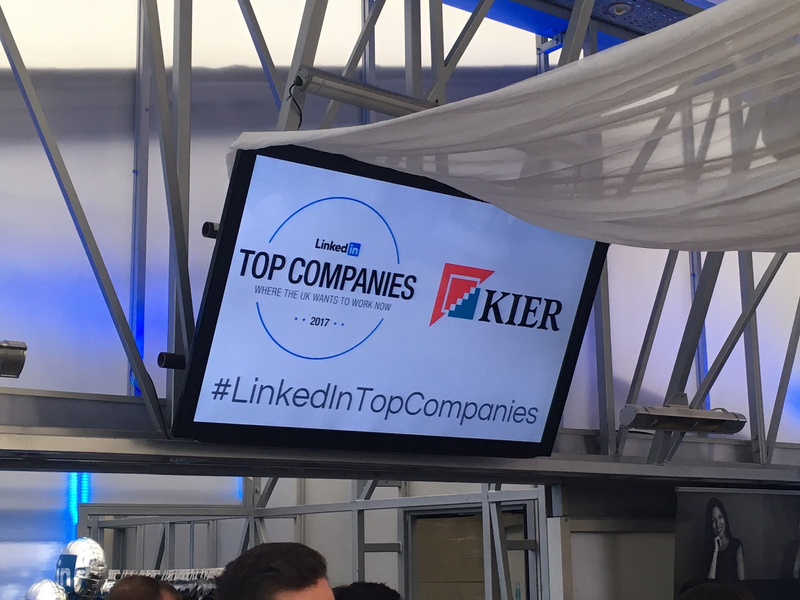 A few weeks ago Kier Group was awarded the ultimate LinkedIn accolade - that we are now one of the top 25 companies to work for in the UK (number 21 to be precise). 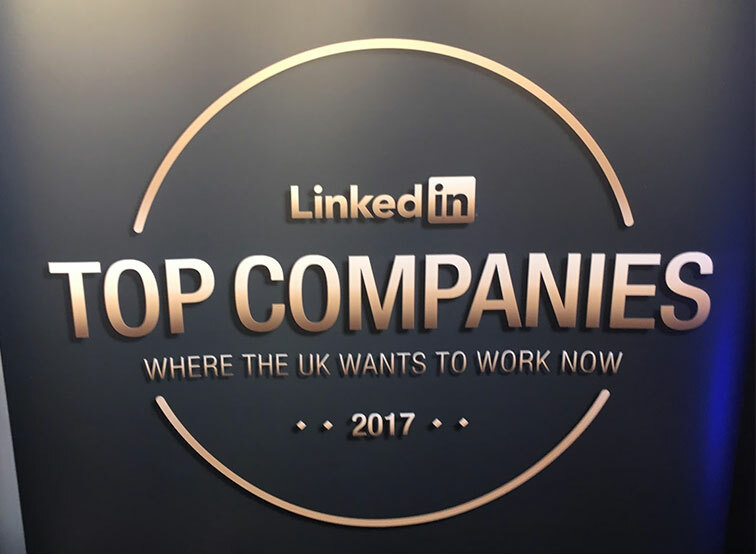 This firmly puts us as the top construction company where the UK wants to work in 2017. This is no mean feat given the other big hitters named on the list (Amazon, John Lewis, Virgin and Facebook). Especially given the resources at their disposal compared to ours! 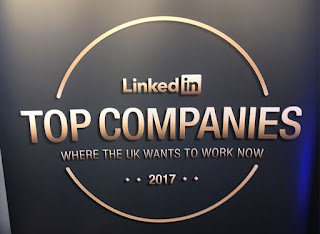 This means so much to us as ever since I started in this role LinkedIn has been essential to our digital strategy. We have always been careful to post sparingly to a defined audience. We have differentiated between our other social media accounts with the type of content we share. 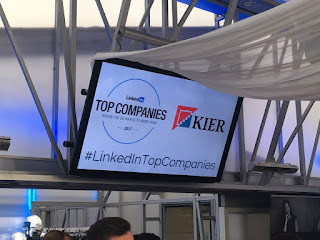 This combined with our ongoing relationship with LinkedIn themselves has ensured that we don't get left behind on an increasingly complex and sophisticated channel. LinkedIn's London office is one of my favourite working locations and I'm there as much as possible to network and hear about the latest developments in their themed rooms! Job applications - We have a much greater than average number of people viewing and applying jobs through LinkedIn. We also have focused on championing different pathways into the industry through our Apprenticeships week campaign. This shows our strategy to target the right people is working. We are also putting a lot of effort into growing the recognition of the brand which is paying off. Engagement - As part of our work and training to ensure all colleagues 'rock their profile' LinkedIn measured profile views and connections from across the company. This contributes to our impressive reach for our/their posts and an increase to nearly 80,000 followers. Retention - With a large number of our employees connected to the company page LinkedIn measured how long they remain with us. 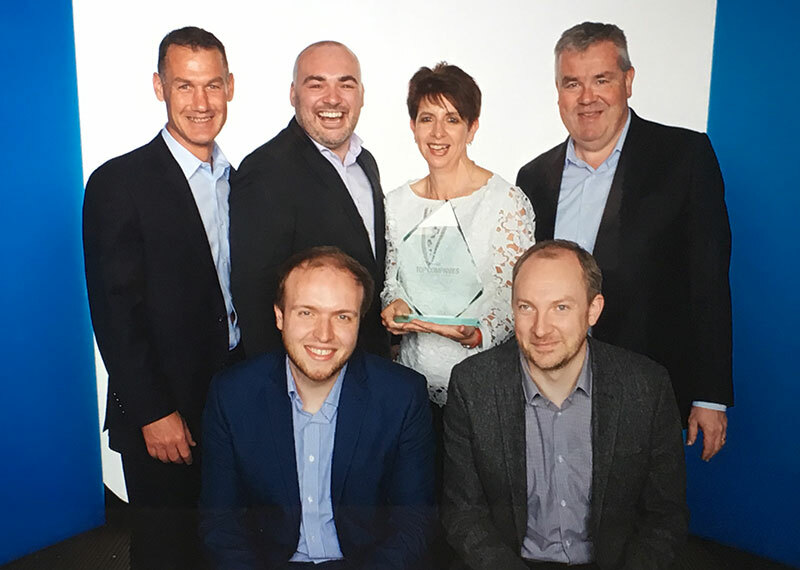 We are a fun place to work and the amount of money raised for the Kier Foundation through various exciting and different initiatives proves this. Being an in-demand company is a great accolade to have as career builders today work at more companies than any previous generation. In a competitive marketplace we've proven we can attract top talent and keep them. We now have more to do to ensure we leverage this award as much as possible and have begun planning how to communicate it both internally and externally. But first it's time to celebrate! So last Tuesday our Head of Resourcing, PR Officer, HR Director and I headed to London to collect our award in style. LinkedIn's drinks reception was being held on the Deck of the National Theatre with representatives from all 25 companies in attendance. It felt strange attending an awards event where we knew in advance we'd won! The drink was plentiful (I abstained as it was a Tuesday night) and the networking was varied as we were invited up one by one to pick up awards. I still don't know who the two identically suited interlopers were flanking us in the photo?! And finally it's worth mentioning that we recently topped another list. We were named as the second most successful construction company on Social Media in the Civil Engineering Surveyor (page 39). In general I'd agree with all the methodologies used to compile this list but the author is quite disparaging on Blogger as a platform! I get that it's one for the veterans and is not the coolest (I use it for this blog) but in my opinion the CMS is only really relevant to the developer. I've seen good sites built in a bad CMS and vice-versa. Maybe the time has come to stop showing my age and move over to 'Medium' or, if I want to look really cool, 'Ghost'!